Ukrainian sugar producers in September 2016 exported 39,900 tonnes of sugar. This is the largest monthly indicator in the past five years. According to a Tuesday report of the Ukrtsukor association, Sri Lanka imported 11,520 tonnes, Georgia imported 6,430 tonnes and Azerbaijan – 4,620 tonnes. Some 4,240 tonnes was shipped to Myanmar and 2,280 tonnes to Tajikistan. "Recently geography of exports has considerably changed. Exotic countries like Sri Lanka and Myanmar appeared among importers of Ukrainian sugar along with traditional CIS countries," Head of the analytical department at Ukrtsukor Ruslana Butylo said. She said that Ukrainian producers continue boosting first class sugar production. It is of great demand on foreign markets. 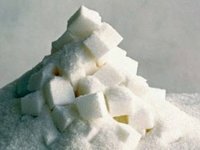 The national association of sugar producers Ukrtsukor has assessed sugar exports from Ukraine for 2015/16 agricultural year (September-August) at 113,000 tonnes, and this is 3% up year-over-year.